Anyone who has struggled with obesity understands that the effects are both physical and emotional. When we treat obesity with surgery at our San Francisco Bay Area practice, we are committed to helping you become healthier for life, both physically and emotionally. Bariatric surgery is one of the best options for obese individuals to resolve the serious health problems associated with obesity, and to improve their overall outlook and sense of well-being. Physicians recognize numerous serious health problems associated with obesity. These include high blood pressure, gallbladder disease, diabetes, degenerative arthritis, asthma, gastroesophageal reflux (GERD), urinary stress incontinence, menstrual irregularity, high cholesterol, infertility, carcinoma (breast, colon, uterine cancer), sleep apnea, pseudotumor cerebri, and premature death. Most, and in many cases all, of these conditions resolve themselves or diminish significantly after successful weight loss surgery in San Francisco. 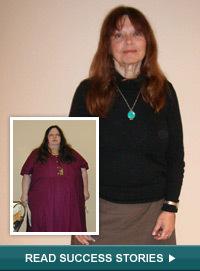 View our real patient photos and get inspired by the life transformations our patients have undergone. For the individual, excess weight can also interfere with social and personal relationships causing emotional distress. Social discrimination against obese individuals is an unfortunate reality. Obese people may feel unattractive and have poor self-esteem. Additional stress may be experienced repeatedly as contact with physicians for any medical problem often prompts comments relating body weight to health. Mental health concerns including depression and anxiety are also increased among people who are significantly overweight. Most of our duodenal switch bariatric surgery patients find that finally overcoming obesity gives them renewed confidence and self-esteem. This change does not occur overnight, but develops gradually and with the help of a good support network. The ability to engage in a more active lifestyle further improves patients' overall sense of health and well-being. To learn more about the effects of obesity, click here to request a consultation with Dr. John Rabkin at Pacific Laparoscopy. Or you can call our office at 415-668-3200 to schedule your appointment.